The boy is plump-armed, wide-eyed, too young to have held a shepherd's staff, even, and the girl- no. She's no girl. It's a woman who walks through the forest grasping the boy by the hand, only a year or two younger than her, and her hair is dark and smooth and her features are lovely and her body curves. She watches her then, runs her eyes up and down her sweet young body, and wonders. "Gretel," says the woman and "Hansel," the boy and she says "Hansel and Gretel," teases out the words, wraps her lips around them like she would a sweet. Hansel sits on the floor of her cottage and draws patterns in the dust. Gretel looks up, and her eyes are dark and her body is still. That first night, she locks Hansel in another room and turns to Gretel and says, "What do you know of witchcraft?" "That it is a dark and wicked thing," says Gretel, but her eyes are lingering on the witch's face, her lips, her chest. "I would teach you that dark and wicked thing," the witch says, lower than a whisper. Gretel says, eyelashes lowered, "I would learn." There is more to witchcraft than what Gretel learns that night, but the witch feels that for now, her body on fire, her breath coming in gasps, this is enough. They keep Hansel in his small room. Gretel learns to stoke a fire to its boiling point, to break a lizard's neck, to read the future in a pot of stew, to blow on a leaf and change it to gold. She learns to throw her head back and close her eyes so her lashes are long and lovely on her cheeks, and to sigh low and sweet. It was understood, in the witch's village, that to heal was the task of the doctor, and to read the future was the task of the diviner, and to do what neither of those could do was the task of the minister. And to marry, and get with child, and sew, and bear the child, and cook, and raise the child, and kiss her husband, was the task of the woman. And the woman was to love one man, and lay with one, too. Gretel raises a wind that blows the leaves off the trees. The witch glances at the moon, who rises and falls each month, and smiles. Of course it could never last. On the first day of the third week the witch allows Gretel to see her brother. She's been feeding him more sweets, sugars and fruits she plucks from the air, but the child grows only thinner and thinner, and the witch believes a visit would do him good. So she lets the woman into his room and locks the door behind them. Gretel exits looking like her world has ended, and the witch knows, again, that she has lost. She tells Gretel to stoke the fire, and Gretel does, raises it hotter than it's ever burnt before. She keeps her body straight and her back turned away from the witch's searching eyes. Her face says sin, sin when the witch sees it, and her breath is coming shallow and ragged, as if it pains her. The witch keeps up a steady stream of chatter and pretends not to notice. She drops casually into her monologue a few facts: where the treasure she stole from the diviner is hidden, the way across the river into a new village, the place she keeps the lock to Hansel's door. Because there's never been a place in this world for witches, whether they be witches who toss frogs into their cauldrons or witches who kiss other women or witches who walk with their heads held high past the reverend's door. There's never been a place for witches, not while the wages of sin are written on women's hearts and obeisance on their tongues. There's never been a place for witches, and there's never been a place for women with power, and there's never been a place for her, the witch knows, as the fire consumes her heart. This is...this is so good. Deliciously sad. Bravo. This is so hauntingly beautiful, and the last paragraph in particular breaks my heart in so many ways. 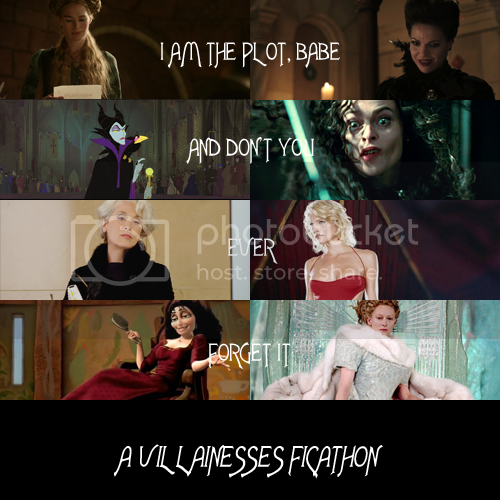 Would you be okay with me making a podfic of this for the Awesome Ladies Podfic Anthology for halfamoon? I would be extraordinarily okay with you making a podfic! Wow! That's really flattering! Can you do me a favor and link me to the podfic when you've posted it? I would be thrilled to hear it. Thank you so much! The anthology should be posted 14th February, so I'll be sure to drop you a link when it's up. The anthology has been posted , and the podfic of your fic can be found here. I really hope you like it, it was such a great fic to record.